Have you made plans to attend the Sage Software 2008 customer conference November 17 to 20 in Denver Colorado? Sage Summit is the place to learn all about the various Sage products as well as talk to your fellow users. One of the keynote speakers will be Olmpic Gold Medal athlete Bruce Jenner who will talk about his story and share his secrets to what helped him win Olympic Gold at the 1976 Montreal Olympics. Day one of Summit opens on Monday November 17 with Peer-2-Peer roundtables. Here you can sit with other users from across the country (and world) who use the exact same product as you do. These roundtables last for one hour each – and there are three of them scheduled on Monday. 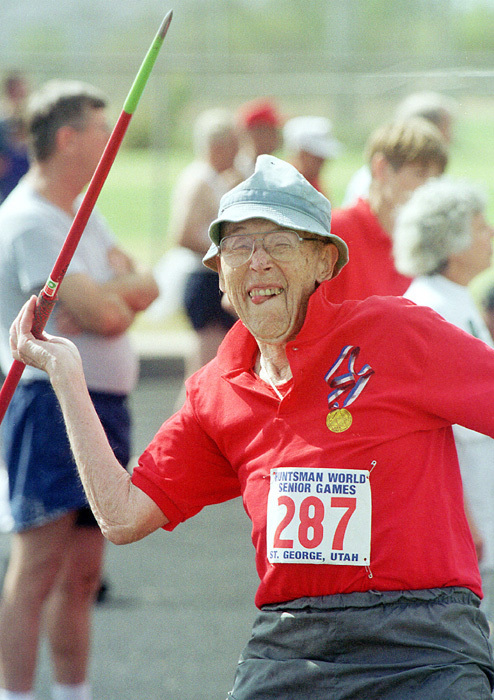 participant from the audience getting to throw a flaming javelin toward stage and Bruce will catch it between his legs while blindfolded. Even if you’re not a Bruce Jenner fan, it will be a lot of fun to be in the audience to stare at him and tell your kids that you saw someone famous. From Tuesday through Thursday you’ll have more opportunities to network with other Sage users and learn about complimentary Sage products at the trade show. Each lunch and dinner will be an opportunity to make a new friend and learn how others are using the Sage products. 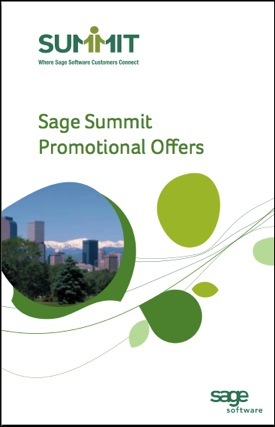 As part of the benefit of attending Sage Summit 2008, you will be eligible for all sorts of product discounts. Sage Software just released their promotional guide which I have included below. prior years’ conferences have been well received. I’ve had clients attend who enjoyed the sessions and learned many new things. Several consultants that I know have also attended and have nothing but positive experiences to share. Unfortunately I will not be attending this year as I’ve been asked to present with Sage at the Sleeter Group conference being held the week before.